Below is the first in a series of letters from various First Parish “personalities” who have some things to say to us about this year’s pledge campaign. Their letters are appearing as blue inserts in the Sunday orders of service. This one from February 17, and subsequent inserts, will also be available on the website at: firstparish.org/campaign. It’s me—your spiritual home. So great to hear your footsteps in the vestibule this cold winter morning and feel you slide all snuggly into one of my pews. I love people in the house—filling it high and wide! I am here to shelter you. That’s my job, and I’m proud to do it. I’m not bragging, just speaking factually, when I say I’m one of the most important buildings in a town bursting with historic structures. Okay, I’m a little vain about it—do you know there are scads of tourists who visit me? I’m well cared for, thank you very much, but parts of me are just old, and you know what that means. I’m expensive. And, as I mentioned before, a tiny bit vain. There’s no denying I’m getting shabby at the tippy top. It bothers me—my steeple’s beauty and purpose are part of what makes me unique among Concord’s old buildings. It harkens to everyone who sees it, “Come, a church!” The steeple is supposed to be gilded, painted in gold, like the beacon it is. But, frankly, the re-gilding project gets knocked out of the budget year after year. Yes, I’m grateful for the repairs and spit and polish I get every week—and that we’re smart enough to try to put money aside each year towards costly long-term maintenance. However, every year the money allocated for taking care of me gets eaten up before attention can be paid to my tippy top. Oh, I understand that every department is on a reduced budget because we didn’t raise enough money last year, but my vanity doesn’t respond to rational arguments. My steeple wants to glow. I’m getting my hopes up again this year. My crew—Lisa Bennett, Phil D’Amico, and CC King—are asking you to reach deep so we, as a congregation, can reach high and wide. 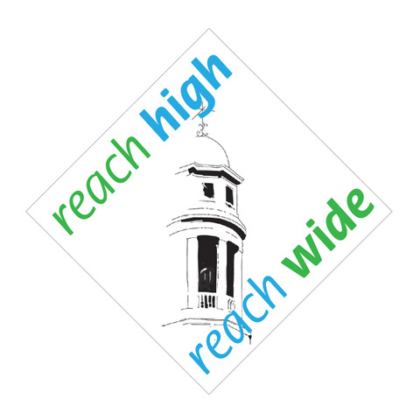 The ‘high’ specifically refers to my steeple, in case no one else mentions that. Please pledge generously on Celebration Sunday, March 3 or in the coming weeks. What distinguishes First Parish is that this community is actually building character and shaping lives. It is forming children into people who make the world a better place.